Finally: a black box we like! The Amazon Echo Link Amp is finally available for sale after it was announced in September last year. The $299 device brings internet-connected streaming to traditional speakers. The device features a 2-channel amplifier with up to 60W per channel. The Echo Link Amp also features dedicated analog and digital inputs and outputs, headphone compatibility, and a dedicated subwoer out. It also features an ethernet port to get everything connected, or WiFi is you prefer to go wireless. Bluetooth is available for wireless audio streaming. One notable omission is the lack a built-in microphone array for far-field voice control. The omission means that this $299 Echo compatible device still needs an Echo or Echo Dot for total voice control. The upside is that this is one less device that can listen to your every word. 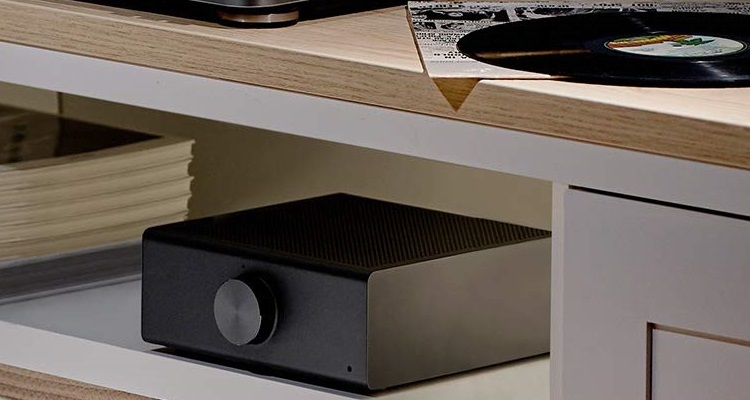 Echo Link Amp supports multi-room audio, but it can’t do so with a record player or other connected audio source. The Echo Link was first showcased last summer when Amazon revealed its new line Echo products. Amazon has been able to gain massive market share in the smart speaker market with affordable devices. Now, the company has its sight set on the premium speaker market. That’s a big problem for companies like Sonos, who specialize in premium speakers and audio equipment. Sonos recently revealed a new strategy to introduce budget devices in a . The company is also seeking to branch out beyond home audio with products for vehicles and more portable equipment. Alongside the new Echo Link Amp, Amazon announced that the products would be available in the UK, Germany, Japan, India, Canada, Australia, and New Zealand. You can pick up the Echo Link Amp for $299 from Amazon. That’s much cheaper than the Sonos Amp at $599, so Amazon is clearly undercutting its competition. The Link Amp is designed to turn ‘dumb speakers’ into smart ones and allow multi-room music groups.